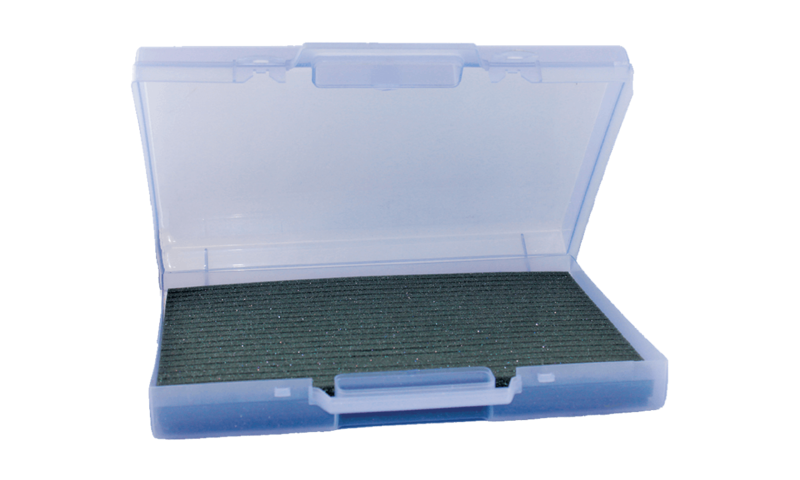 This carrying case with foam tape organiser will help you store, organise and carry your event badges. Features a foam card organiser for up to 80 cards (86 x 54 mm) but we recommend using 64 cards shall these have attachments at their back. Case dimensions: 300 x 380 x 77 mm. Foam dimensions: 250 x 370 x 30 mm. Store, organise and carry your event badges in a simple and secure way! Carrying case with foam tape organiser for event badges (store up to 80 cards : 86 x 54 mm or maximum height of 59mm).